It’s Friday, so here’s a drag queen super post! Oh thank gawd, it’s finally the weekend. And it’s almost warm now! Yay! It’s like spring is almost here, but not really because I still need to wear two coats to walk my dog so that I don’t freeze my nips off. 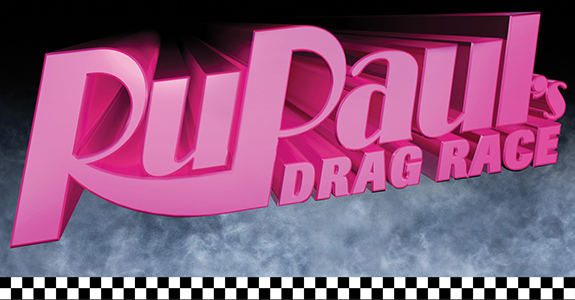 Anyway, to celebrate the warmer weather and the two days where we don’t have to work, we’re cramming not one, not two, but three videos here all featuring the queens of RuPaul’s Drag Race. First off, we have the new episode of Ring My Bell starring Yara Sofia, along with cameos from RuPaul, Sharon Needles and Alaska. Actually, do we have to call her Alaska or can we call her Alaska Thunderfuck? The weird thing is, they always billed her by name in the casting specials, so it struck me as weird that they couldn’t just use her real name when they finally cast her. Meh, oh well. Next, we have a bonus clip from The Stylish where Willam shows you how to do your makeup like her. Basically, it involves having naturally flawless bone-structure and then just sort of throwing it on and cleaning up the edges to look all pretty like. So if you don’t have a well-defined jawline and impeccable cheek-bones, you’re kinda f**ked. Sorry ’bout it. And finally, here’s a sneak peek (via our pal DanielleTBD) of RuPaul’s guest appearance on the next episode of ABC’s Happy Endings. Yay! RuPaul on a network television show! WEEE!